BY and large, I'm not a fan of brewers naming beers after the hops they use. It can come of a bit nerdy and many ways doesn't give the beer a unique branding. There's bound to be a dozen citra pale ales doing the round and what about the malt and yeast? Aren't they going to get a look in either? However, some hops are wonderfully named and if you're only going to use one variety in what's become known as a Smash (single malt and single hop) beer, it sometimes doesn't do any harm to slap it onto the front of the label. 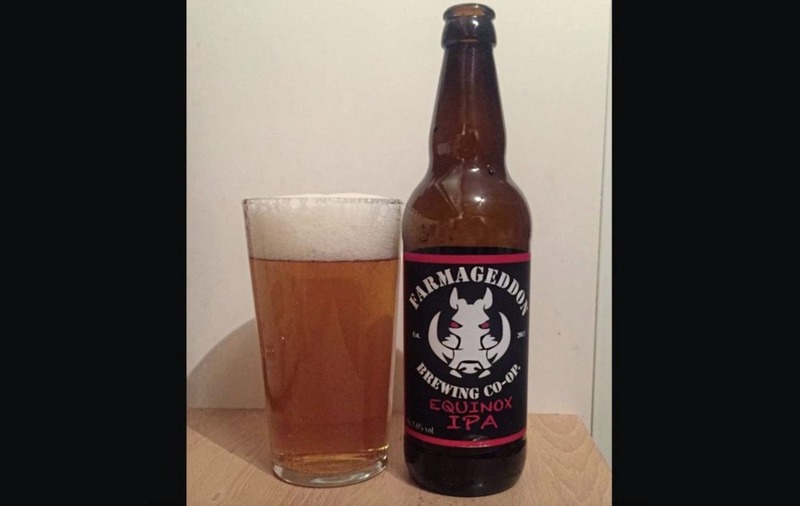 And so I put my reservations on hold and grabbed a bottle of Farmegeddon's Equinox IPA. The equinox hop started life as Exp 366 – not overly catchy. But now that it's been given a name, it seems a a decent one for an IPA. The beer itself pours a light amber colour and has a slight haziness to it under a fluffy white head. There are big aromas of grapefruit, lemon peel and tropical fruits – a big hint of what's ahead. The bitter grapefruit flavour hits you on the first gulp and there are piney, almost herby notes to it. That's all tempered by a sweet biscuity malt too, but it's hard to get away from the big hit of grapefruit before a bitter, dry finish. It's a great beer for fans of citrus-forward IPAs and actually tastes a bit more robustly than quite manageable 5.6 per cent abv would suggest. :: I HAVE had a number of readers getting in touch to ask about where the beers I write about are available. In Belfast, the Vineyard on the Ormeau Road, Lavery's in Bradbury Place and Gap Wines on the Antrim Road are well stocked with great beers but don't be afraid to ask your local independent off-licence if they have a certain beer – it may let them know there is a demand in your area. I also source beers from online beer clubs such as Beer Hawk, Beer 52 and Flavourly, although if you sign up to one of the monthly subscriptions, it can be a bit of lottery as you don't always know what you're getting each month. Let me know if there are any hidden treasure troves of craft beer in your area.